When left to their own devices, kids won’t often play fair. It doesn’t matter what they’re playing; when the option to cheat is presented, it can be hard for a young mind to resist the urge. Of course, this isn’t a negative reflection on them, instead meaning that they simply aren’t ready to conduct their own games. As a parent, you have the power to help with this. To give you an idea of where your power lies, this post will be exploring some of the best ways to ensure that the sports at your kid’s school stay nice and fair, ensuring that everyone stays happy. In a lot of cases, the parents arranging sporting events for their kids will also be the ones judging them. This isn’t really fair, though, as it can make their decisions biased, making things which would usually be flagged up go ignored. To solve this issue, looking for someone who doesn’t have any kids in the game can be a great way to make sure that everything is kept nice and fair. As a best case scenario, finding a teacher who is willing to do this can be a great way to avoid any funny business. Professional sports teams will have games planned long before they come, choosing the players they want to have in the match, and preparing a strategy to help them win. Of course, while you can’t go too deep with this, it can help to use tools like personalized lineup cards to make sure that games are going according to plan. While this will cost some money, it will make it much easier to control the games your kids are playing in. While you will have someone working as the referee for your games, it will be hard for one person to keep an eye on everything which is going on during a heating battle. The parents watching should be able to spot when things aren’t going according to plan, though, and can be used as a way to stop potential cheating. Having a skilled referee can also help with this, making it worth investing in some training for the person you use for this role. When something goes wrong on the pitch, it’s important that the child responsible faces the consequences for it. What is even more crucial, though, is that the punishments being given out are consistent. 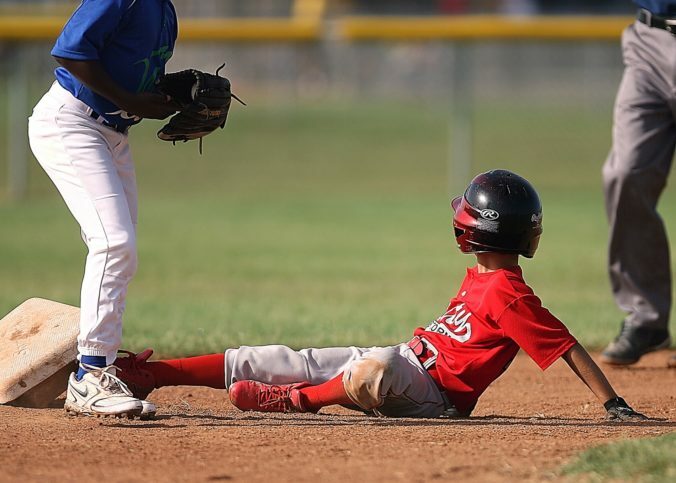 If one child is given a warning while another is thrown out of the game for doing the same thing, the event can’t be considered fair, and you will probably have to deal with some angry parents as a result. Fairness is the cornerstone of sport. Without this element, there isn’t much point in playing, and it will take the fun out of the whole thing. When it comes to kids, they won’t be doing this for anything other than fun, too, making it especially critical that everything is kept above board when you’re going through this.